Play therapy and family therapy both are well established therapeutic paradigms. Often, however, play therapists have minimal contact with the nuclear family of which their child patient is a member. Similarly, family therapists frequently view young children as disruptive and exclude them from family sessions. By combining both play and family treatment modalities as this unique book Family Play Therapy suggests, all family members can participate in a therapeutic process which, in its inclusion of everyone, is more genuine and therefore successful. Family Play Therapy encourages the blending of play therapy and family therapy by discussing and demonstrating various techniques and diverse theoretical approaches that will enable readers to broaden their repertoire when working with families and their young children. Each author describes his or her own creative avenue of expression such as puppetry, psychodrama, and sandplay, which facilitate the family's communication, helping members to find new ways to hear each other. Family play therapy and play therapy need not be exclusionary. The two approaches actually can enhance and enrich each other. 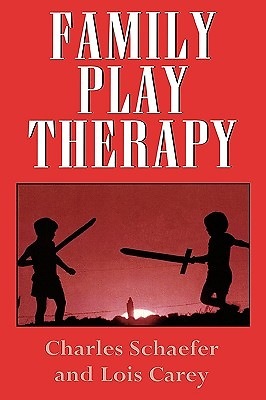 While each therapist ultimately will use his or her own ideas in the critical combining of both methods, Family Play Therapy offers various possibilities and as such, helps therapists to help their family patients to be readily engaged in treatment and to experience therapy as a fun, inclusive, transforming time together.